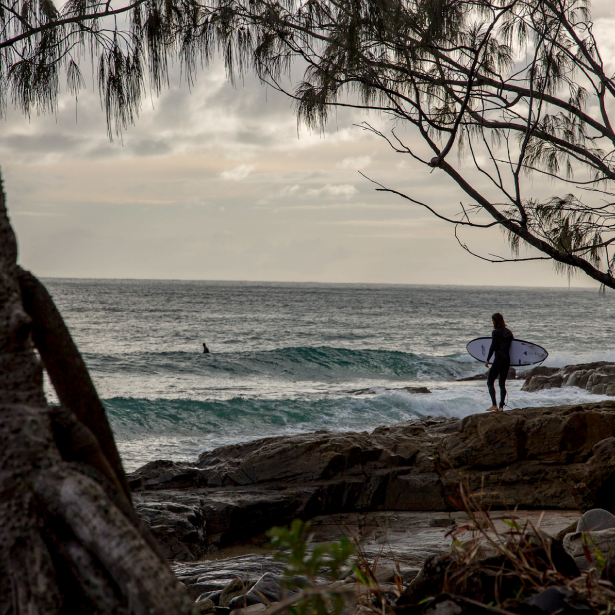 Noosa Surfing is a tribute to the local surf community and its creative culture: the stories, events, art and people behind Noosa’s surf soul. We want to share that soul, so we have built this website to promote the region online. 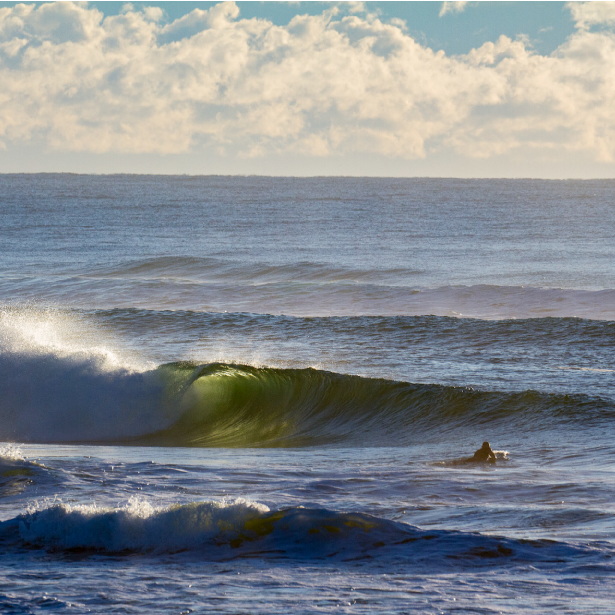 We’re supporting our local creative folk and businesses with the Noosa Surfing directory. Looking for events, artists, shapers, tours, surf spot guides or rad gear? We’ll hook you up with the best Noosa has to offer. 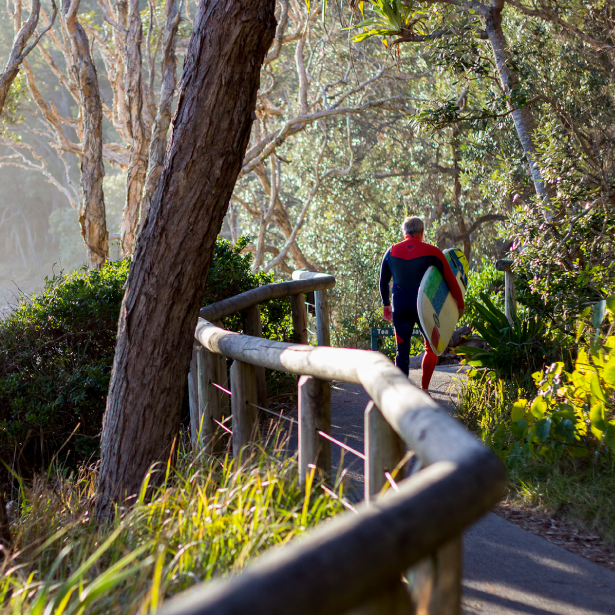 Noosa surf culture isn’t just about surfing at Noosa. It’s about creative people doing what they love. We share the stories of the backyard shapers alongside the blokes exporting boards around the world. Meet the self-taught photographers, the guy pumping out hand-made shirts, the kooky café owners who love displaying local surf art—all living on the Noosa stoke. You’re surfing past sunset as light fades over pristine national park, having a sneaky beer on the beach with mates, taking your old man’s classic Holden for a spin. Whatever your deal, Noosa provides the perfect backdrop. We’re dedicated to preserving Noosa’s iconic natural beauty, because we believe the environment is everyone’s business. We make and source our products as ethically as possible, with most being 100% organic and fairtrade. We’d be a sorry lot without the ocean, so we intend to keep it clean. NoosaSurfing.com is a great platform for Noosa and surrounding businesses to list their business and be discovered. With excellent SEO and consistent digital marketing, NoosaSurfing.com is an effective way for your business to get more exposure and be discovered by surfers who are actively looking for your products and services. You can offer deals, expand your online reach and increase sales. If you would like to list your business with NoosaSurfing.com click the button below to learn more.